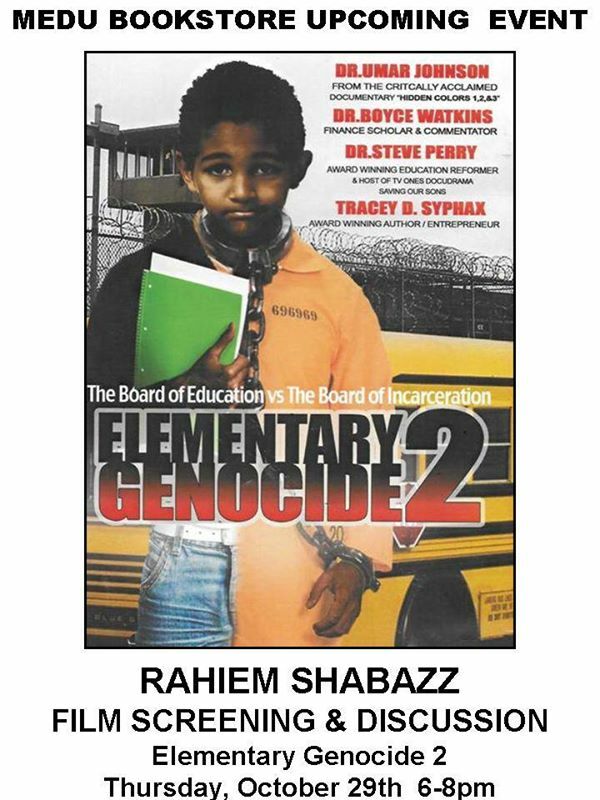 This Thursday, October 29th 2015 Award Winning Filmmaker and Journalist Rahiem Shabazz will speak at Medu Bookstore (Greenbriar Mall, Atlanta). Please arrive early because seating is limited. p.s. There will be 2 special guest joining Shabazz to discuss the current zero tolerance laws that contribute to the school to prison pipeline and alternative means of education your children outside of the public school.